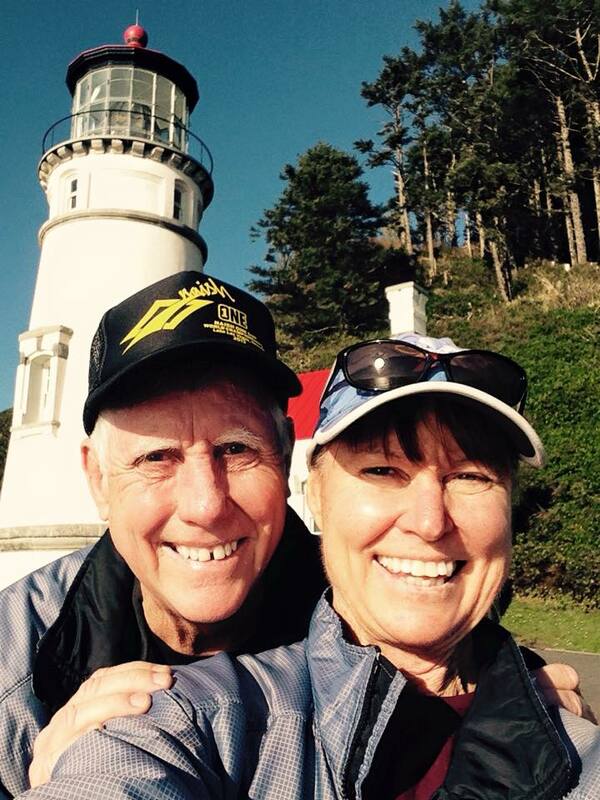 It was the final day of our “SUP Surf” trip tp the southern Oregon Coast. A wicked series of winter storms fueled by gale force winds and torrential rain filled the creeks and rivers to flood stage. The best surfing is near the mouths of these rivers and conditions were not good for our favorite water play. So we hiked and explored for eight amazing days. On our final day we took a hike that hadn’t been advertised much, and we took off through the wonderous forest without much expectation – and then we came upon Indian Sands Beach. The 3 hours we were held spell-bound flew by. The video captures a bit of the adventure but you must see it for yourself. Rainy Winter Coast Trip: Yippee! 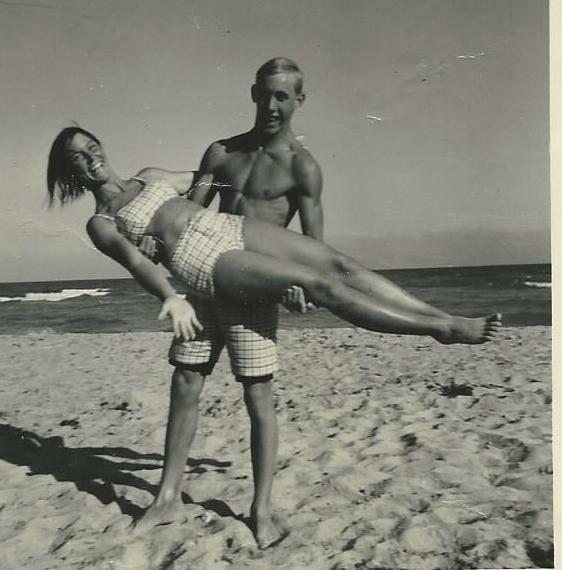 Me and Ed at Hollywood, FL beach in summer 1965. Yup, 50 years together. During the 52 years we lived in South Florida there were norms. You didn’t go to the beach in the rain, you wore bathing suits to the beach, not raingear and fleece, and you didn’t go to the beach when it was cold (think less than 65 degrees) out. Now, after 14 years in Oregon we are packing up the trailer and heading to the Southern Oregon coast from Florence to Brookings. I “get” the mascots chosen by Oregon State and University of Oregon now. The Ducks and the beavers. As I pack I make sure to have down and water repellant gear (Go Ducks). I have warm shoes, boots and my SUP paddle for exploring the rivers and bays (Go Beavers). The crab trap and fishing gear is packed. We have our Naish ONE inflatables tucked into the truck and our Hokuas bagged and on the roof. 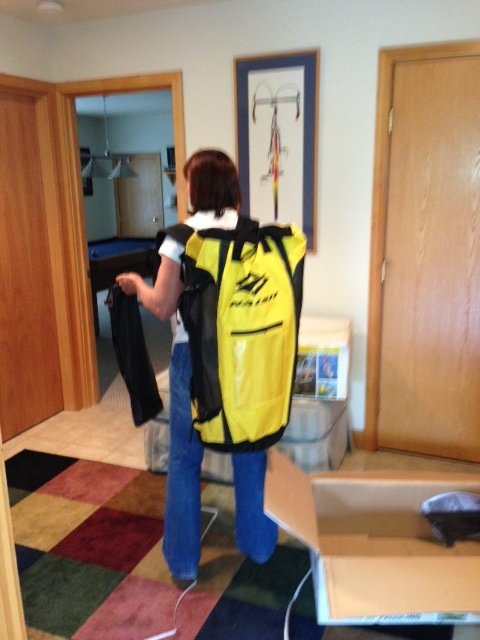 KIALOA paddles for surfing and exploring are in their bags. We have a huge crab pot, a grill basket for fresh fish, GoPro and cameras. We have wetsuits and booties – OK, let’s GO! 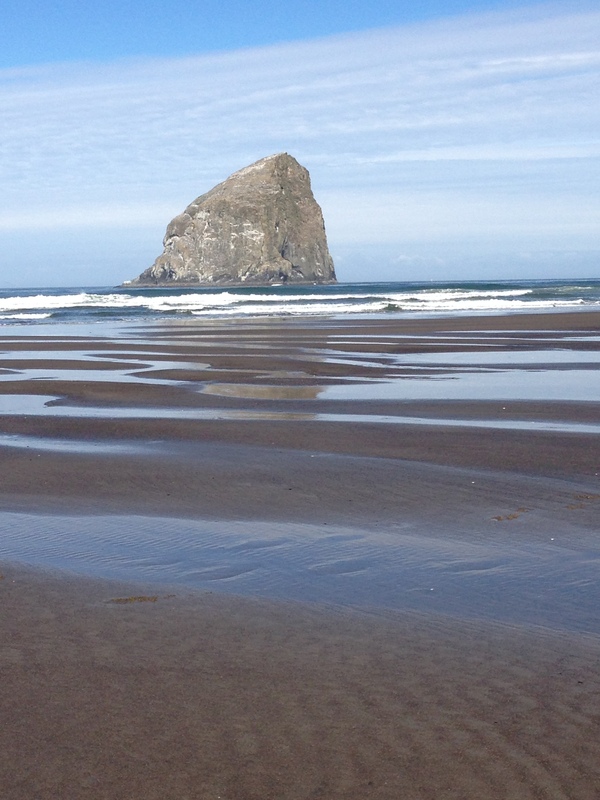 A winter beach trip in Oregon may not promise balmy, sunny days – who cares? We expect wonder, awe, beauty and surprises. Stay tuned for “talk story” as these former Floridians get their gray-wet-winter coastal baptism. What’s a perfect beach for SUP paddling and surfing? Sandy bottom, glassy waves, no crowds, clear water warm enough for no wetsuit – does that work for you? Well, except for the warm water and no wetsuit, Pacific City, Oregon is pretty close to ideal. The swells can be predicted and the mix of surfing waves goes the gamut. The ambiance in a beach town can add a lot to our SUP surfing and paddling experience. I am staying at the Inn at Cape Kiwanda this trip and finding it to be an incredible spot for a super surf trip experience. In previous trips I have stayed at a nearby campground, in a camping cottage or in a rental home set back from the ocean. 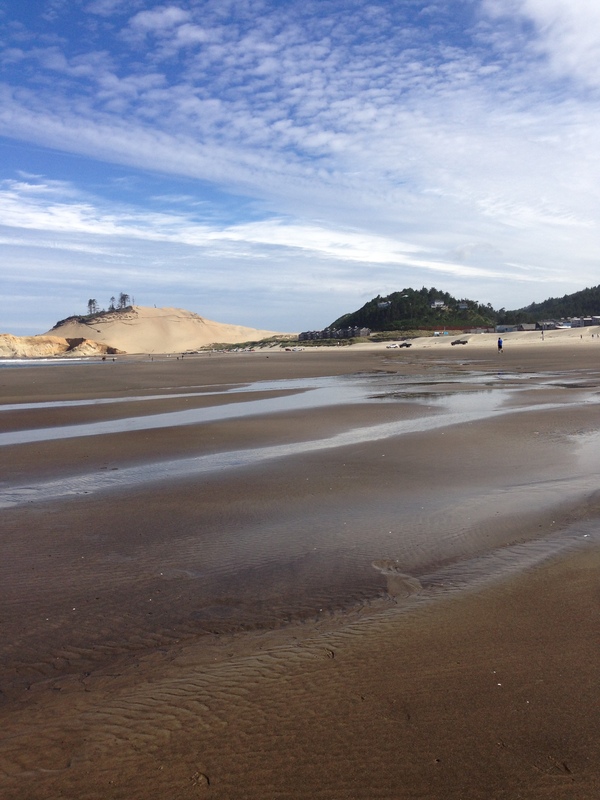 The heart of Pacific City’s beach scene is the triumvirate of the Cape Kiwanda Dune, the Pelican Pub and the iconic Haystack rock about a mile off shore. This “haystack” stands 327 feet (100 m) above the sea and is the world’s fourth largest sea stack or off-shore monolith in the world. 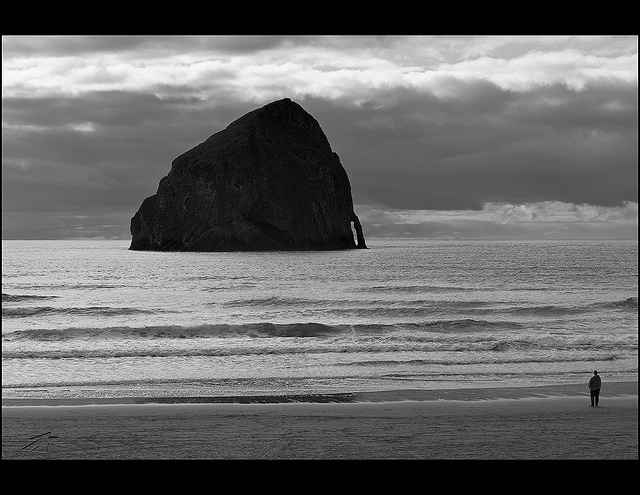 The Inn at Cape Kiwanda is situated right in the middle of these three with an ocean view from every room. 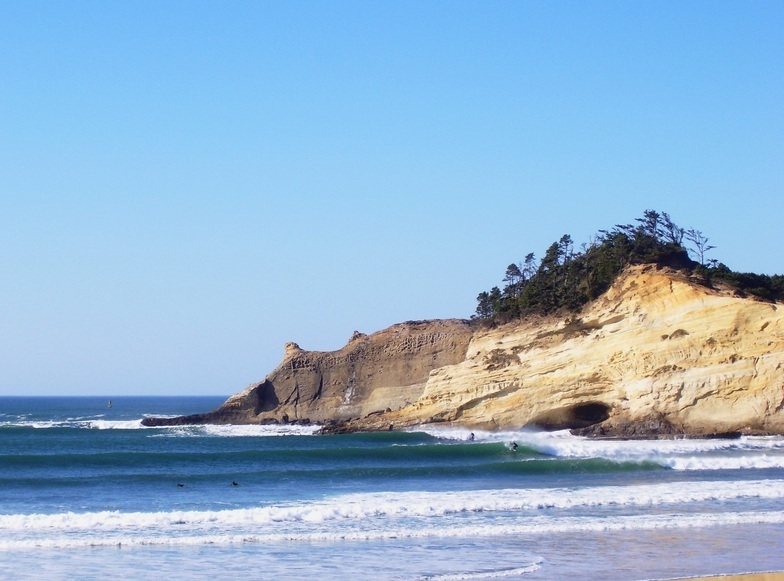 While that is a nice amenity, its value to us as SUP surfers on the Oregon coast is enormous. That early morning surf check in case the waves are right for a “dawn patrol” is usually a chilly trek from where you spent the night to the parking lot next to Pelican Pub. There we usually huddle in ski jackets holding our morning coffee close and tight. This morning I simply rolled over, still in the cozy bed, and check ed out the sets coming in at pre low tide. Not yet ready to surf, I made some coffee and went out on the deck. From there I could view the far western edge of Cape Kiwanda Dune, where the sets announce their arrival with a wash over the jutting rocks. 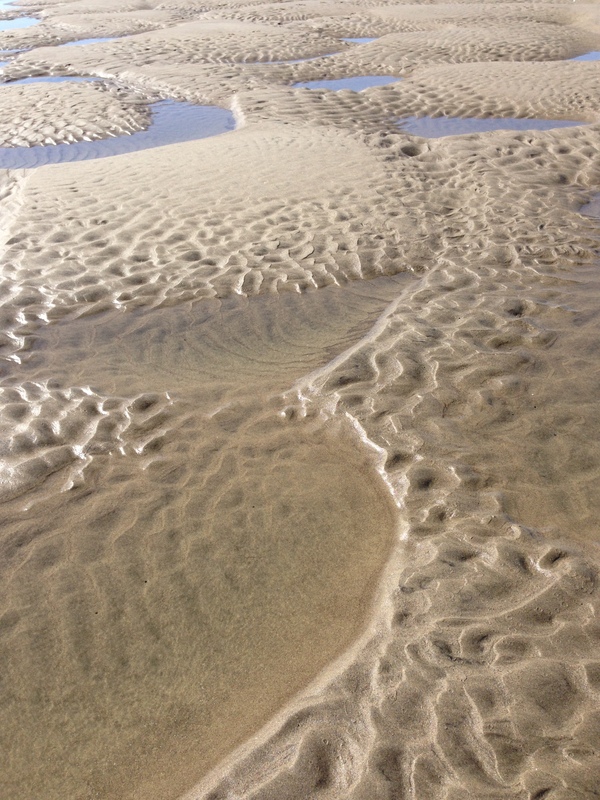 I took a long beach walk and enjoyed the art – created by clouds, water and sand. By noon as I had a light lunch back on the deck at the Inn, I started to notice larger arcs of whitewater wrapping around the end of the dune. These sets came in consistently for bout 20 minutes. i timed the intervals between sets and decided, with incoming tide and lighter than expected winds, it was a great time to don the wetsuit and head out. An hour later I was chilly but had my fill of waist to chest high rides cutting right and left on fairly glassy faces. Now came a real treat. I loaded my board onto my car and drove over to the Inn at Cape Kiwanda. Just outside of the lobby is a WARM WATER shower. I doused the board and myself – it felt wonderful. After drying a bit it was back to the room for a rest and a book. But as I read, I could keep an eye on the incoming tide and the dory boats coming in – right up on the sand. I must have dozed off – about 4:00 the swell seemed to build a bit. The expected afternoon winds didn’t materialize and I was right there, front and center to observe the sea. Back into my wetsuit and an afternoon session I might have missed if i hadn’t been right there – better than any webcam! Sometimes it is foggy, sometimes the waves are crushing, gnarly and mean, sometimes – well, sometimes everything comes together and it’s wonderful. 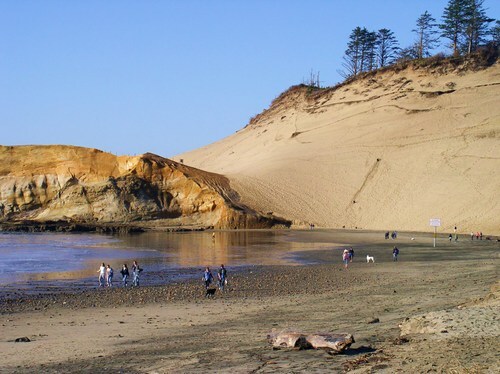 Pacific City at Cape Kiwanda on the Oregon coast is “our little beach town.” Click, play and dream on.